In 2005, Murray announced that he would take a break from acting, as he had not had the time to relax since his new breakthrough in the late 1990s. He did return to the big screen, however, for brief cameos in Wes Anderson's The Darjeeling Limited and in Get Smart as Agent 13, the agent in the tree. In 2008, he played an important role in the post-apocalyptic film City of Ember, and in 2009, played himself in a cameo role in the zombie comedy Zombieland. Murray provided the voice for the character Mr. Badger for the 2009 animated film Fantastic Mr. Fox. Though there was speculation that he might return to the Ghostbusters franchise for the rumored Ghostbusters 3, he dispelled such speculation in a recent interview with GQ. In March 2010, Bill Murray appeared on Late Show with David Letterman and talked about his return to Ghostbusters III, stating "I'd do it only if my character was killed off in the first reel". In an interview with Coming Soon, Murray said: "You know, maybe I should just do it. Maybe it'd be fun to do." In the interview, when asked "Is the third Ghostbusters movie happening? What's the story with that? ", Bill Murray replied, "It's all a bunch of crock." Despite this comment, later reports by Dan Aykroyd and Stefano Paginini suggest the movie is well underway, and the script has already been approved. If only they made this movie in real life! 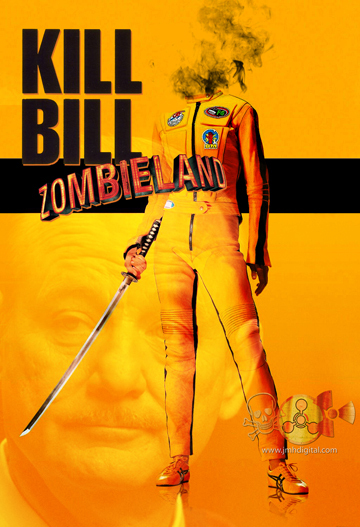 I didn't think this movie was all that funny, I did however think Bill Murray was the best part. Fascinating post. 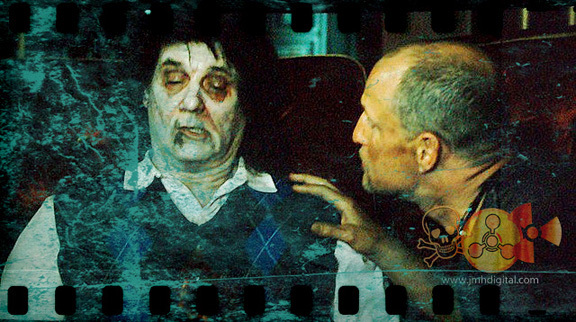 I loved his cameo in Zombieland and I'd die with hapiness if he appeared in another Ghostbusters movie! Forgot to say I luvvved what did with the Kill Bill poster. I loved the mash-up of the different elements. I think it's the best thing you've done!